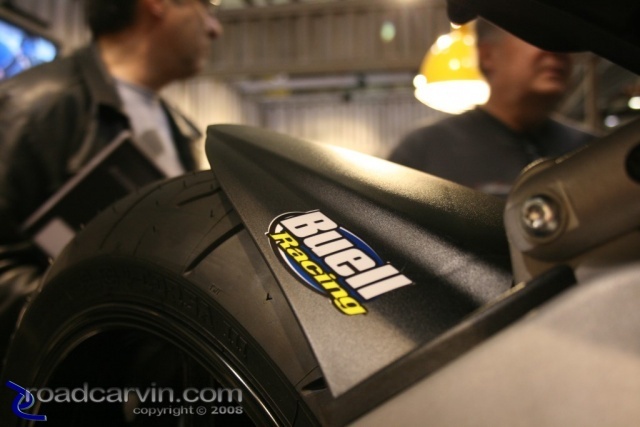 Buell 1125r with race kit. View of rear fender with visitors in background at the 2008 Cycle World International Motorcycle Show in San Mateo, California. Submitted by Michael Curry on January 22, 2009 - 9:10pm.